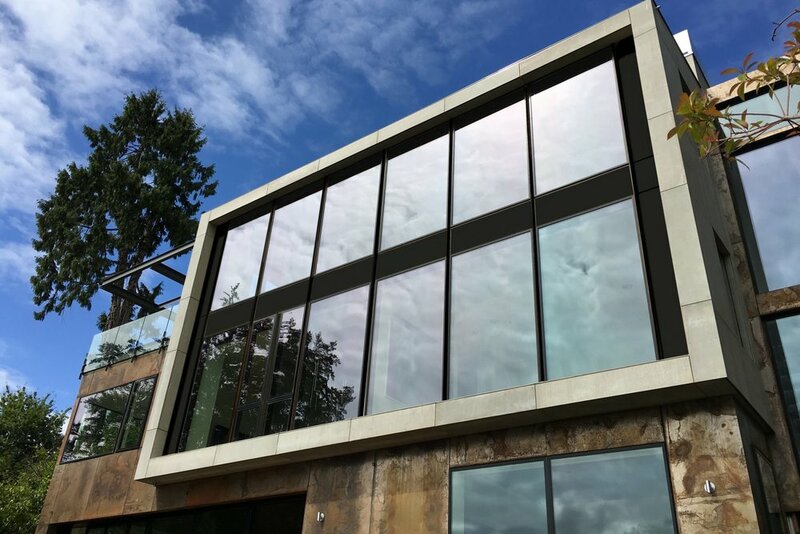 Given our track record of successfully building on challenging sites, it’s no wonder that Clark Construction was selected as the general contractor for this $3 million home on the shores of Lake Washington. Both demolition and material sourcing required the use of barges and large cranes. The owner is passionate about his glass, steel, and concrete building which boasts 6,000 sq ft of living space with three levels, 2 elevators, and a large covered deck facing the lake. All the bold details of this contemporary home perfect the owner’s vision of a playful and tasteful tribute to the lake’s offerings. Clark Construction was brought in on this project due to the owner and previous contractor’s inability to mutually agree on a budget.